Enjoy a great tasting coffee and food at Tim Hortons! A coffee place loved by Canadians! Order your Tim Horton's gift card online at Muskbird.com and get it delivered fast to your door steps. You can also customize your greeting message and upload your favorite photos - All included for free! Choose from Email Or Physical delivery for your Tim Horton's Gift Card. Choose email delivery and get it delivered to your email address for free!. The card and PIN numbers will be emailed to your email address specified at the time of placing the order. You will need to download Tim Horton's mobile app and then load the card using PIN and card numbers supplied. *Tim Horton's Gift Card, Logos, Slogans And Related Marks Are The Property Of The TDL Group Corp. and T.H.D. Donut (Delaware), Inc.
You can choose from Email or Physical delivery of your Tim Hortons card. Tim Horton's PIN and Card numbers will be delivered to your email address. You will need to download Tim Hortons mobile app and then load your card inside the mobile app using PIN and Card numbers. 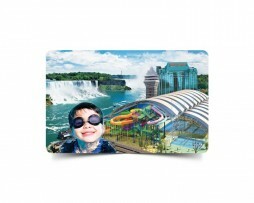 Register your Tim Card© at timhortons.com to protect the balance against loss, left and damage. Check your balance and reload your card online. Call 1-866-TIM-CARD or visit participating restaurants. Your Tim Card may only be used for purchases at participating restaurants. Tim Hortons will replace the balance on a registered card at the time they are notified of the loss. This card cannot be redeemed for cash unless required by law. This card does not expire and no dormancy fees will be charged. Use of this card constitutes acceptance of terms and conditions. Complete terms and conditions are available at Tim Horton's website.